Click here to view our Presidents Day 2017 selection of signed and rare books. 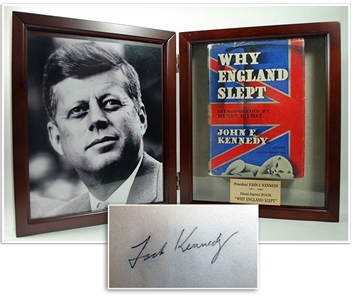 JFK is the most popular of all modern U.S. Presidents and an excellent example of his early signature is quite desirable among collectors. What better time to discuss collecting presidential autographs than on Presidents Day? This can be both a thrilling and ambitious undertaking, and one that you could easily spend a lifetime doing—especially if you are of modest means and/or are looking to complete a collection of signatures of all (to date) forty-four US presidents. First of all, there are numerous types of presidential autographs that can be obtained—some more easily than others. Presidential autographs (or signatures) can be found on hand written personal letters, signed typed letters, signed checks, presidential place cards, event invitations and greetings, and books signed by presidents. For the most part, the further back in history, the more difficult a presidential signature is to obtain and therefore will be of greater value. If you see yourself becoming a long-time collector, this is where planning comes into play. A signed copy of President Obama’s memoir “Dreams From My Father” will, no doubt, increase in both scarcity and collecting value over time. Hint: look for one now. And as with all signed books, a first edition / first printing will be more valuable than subsequent editions. While it’s always possible you may find a genuine article on huge auction sites such as eBay, your chances of getting stuck with a fake or paying more than the autograph is truly worth are good. For one thing, huge auction sites like these offer very little actual oversight, enforcement, or recourse for buyers; as well, prices are usually augmented when compared to other types of booksellers because of hidden reserve prices and buyer’s premium fees. If you are looking at an eBay store that is connected to a reputable online or bricks ‘n mortar seller, that’s different. In this case, you won’t be dealing with someone selling an item at random, that they may or may not know much about, including the value, the authenticity, or the desirable qualities of collectible autographs. Always make sure you are getting something that is backed by a guarantee and that has been authenticated. If it is a signed book, make sure it comes with a Certificate of Authenticity (COA) from the publisher. If the book was not issued as signed (e.g. the signature was obtained at a book signing), carefully consider the seller’s proof of authenticity. Sometimes sellers will offer photos of the event where the book or other item was signed. It’s best, and advisable under most circumstances, to consider only signatures of this type that have been PSA/DNA or JSA (James Spence) authenticated, or ASA (American Society of Appraisers) certified. You might be thinking that the four most valuable presidential autographs one could obtain would be those of the four enshrined on Mount Rushmore… and you’d be three-fourths correct. Actually, the four most valuable are the first three US presidents—George Washington, John Adams and Thomas Jefferson—and then a skip ahead to the 16th US president and great emancipator, Abraham Lincoln. Each easily running in the $10,000 or more range for an item in well-preserved condition. Of course, presidents in between and after these four will also command a high price, particularly if they are the more renown, beloved or memorable presidents (e.g. Jackson, Teddy Roosevelt, FDR, Truman, Kennedy). You can expect, for example, to pay considerably more for a JFK signature than a Jimmy Carter signature. Don’t forget (as we sometimes do) that there are other presidential and political leaders’ signatures of great value and that make wonderful additions to a collection: Winston Churchill, Mikhail Gorbachev, Vladimir Putin, Nelson Mandela, Margaret Thatcher; and don’t forget figures like chancellor-become-dictator Adolf Hitler… if you can find and authenticate that signature. 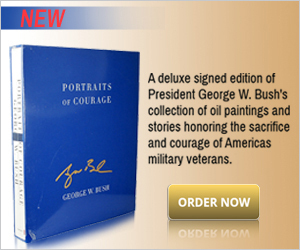 Do you have questions about a specific presidential autograph or input to add to this article? Your thoughts are welcome and appreciated in the comments section. We’d love to hear from you.